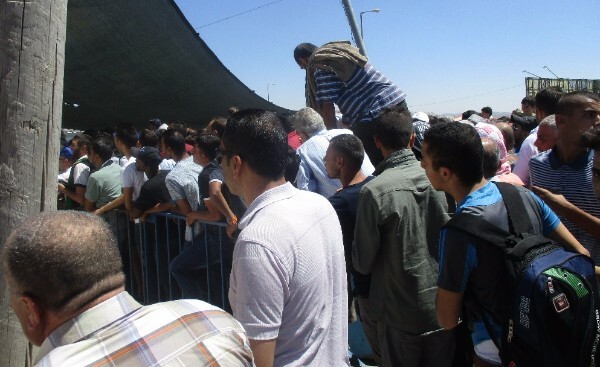 This Ramadan over 200,000 permits issued to West Bank Palestinians for visits to Jerusalem and Israel were revoked as collective punishment for a terrorist attack. Whole families with children, all dressed up in their holiday best, were sent back home. For the women of MachsomWatch, the month of Ramadan was a month of busy activism. 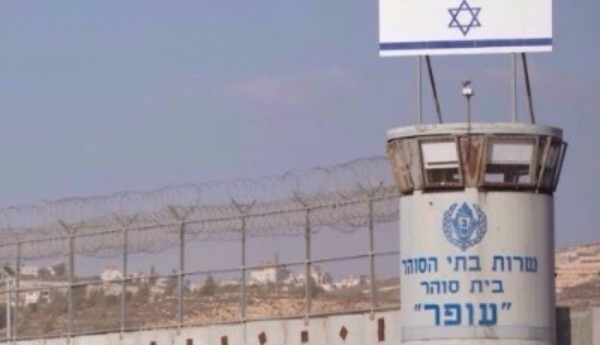 Nearly every week, for the past twelve years, members of MachsomWatch have been attending hearings of Palestinians who are tried in the military courts located in the Occupied Territories and in Israel. 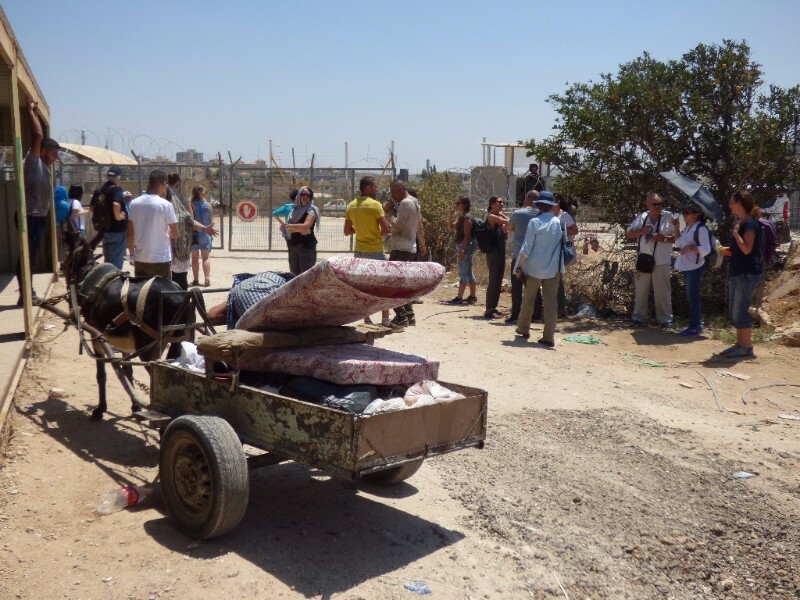 MachsomWatch volunteers observe and document the machinations of a separate legal system for the Palestinian population, while the Israeli settlers use the Israeli court system. Many of the defendants are there as a result of a system that views every democratic act of civil protest in the territories — such as demonstrations, rallies, free speech, and free press — as threats and incitement, which often result in arrests. The military courts are purportedly open to the public, but they are not accessible to Palestinians who don't possess special permits and even journalists rarely attend hearings. Hanna Barag, now in her 80s, first visited the Qalandiya checkpoint, a few kilometers from her home in Jerusalem, in 2001. She experienced what she now describes as “a tremendous shock." Today, 16 years later, she is one of the key activists in MachsomWatch and the recipient of the 2017 Yeshayahu Leibowitz Award given by Yesh Gvul. Hanna was honored for “her ceaseless activism against the occupation of the West Bank and her unrelenting struggle for peace in the spirit of the teachings of the visionary Professor Leibowitz." In the short video from the series The Watchers, you can meet Hanna Barag and hear what being Israeli means to her and what motivates her activism. What do We Know about the Jordan Valley in the Summer? 40 degrees (104 F) in the shade, No water! In the neighboring settlements (one of them an illegal outpost), people are bathing in the swimming pools, while in Al Heme the last drops of water are confiscated by the army. 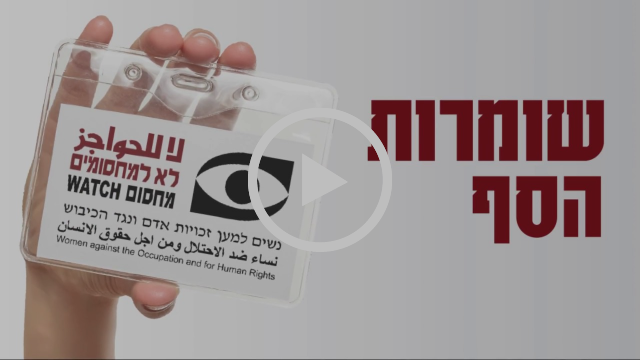 In a video-clip series The Gate Keepers, produced for the 50th year of the Occupation, members of MachsomWatch speak about the activities they lead and what it means for them to be Israeli. In the video above you can meet Daphne Banai, a leading MachsomWatch activist in the Jordan Valley. This short video is part of the series The Watchers produced with the support of the New Israel Fund. For 10 years now, we have been voluntarily leading tours in the West Bank so that people, who think they know everything about the situation, will have a first-hand experience of what it means to live under occupation. “Sometimes I wish that all the Arabs would be thrown into the sea, and then all the Jews and anyone else who wanted to join. After a swim they would all come out and eat watermelon and ice-cream together, and it seems to me that the world would then be in a better place.” This is the idea of Yair Osherov, a volunteer in the Min El Bahar project – Sea-Days for Palestinian Children. The project is led by volunteers who organize swimming and fun days at the sea for Palestinian children and their mothers from the West Bank. For many of the participants, it is a first encounter with the sea which is so near and yet out of reach for them.